/ How do you stop thinking about drinking alcohol? How do you stop thinking about drinking alcohol? When you get addicted to alcohol a lot of things change and a lot of strange behaviors become normal to you. Problem drinkers think about alcohol all the time. If they are not drinking the stuff they are planning when they can next. It makes us miserable because addicts are constantly having to ‘risk assess’ every situation in life. Just to make sure alcohol will be available at all times. This scary level of obsessive behavior becomes commonplace, normal even. But you only have to change the substance for the insanity to become obvious. 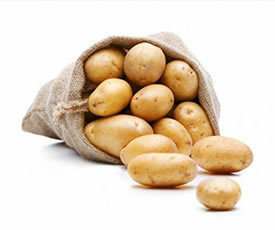 Imagine if over a hundred times a day you thought about potatoes. When you weren’t eating them you were planning where you can get your next fix of potato. If your friend invited you to a party and you found out that there would be no potatoes available. This would lead to a major tantrum and your refusal to attend. If you were behaving like that around the humble spud on a daily basis. It wouldn’t be long before your friends suggested medical intervention. The human body is an amazing thing. It will physically adapt and change to better perform tasks that you do on a regular basis. For example, in you decided to switch your writing hand, your body would eventually adapt to this change. After a decade of writing only with your left hand instead of the right, you would find it strange and difficult to go back. The same is true of habits and addictions. For decades you have been thinking about alcohol on a daily basis. Your mind expects this routine to be a part of your reality. So, don’t be surprised if it doesn’t stop as dramatically as you would perhaps prefer. When you first quit drinking you will find alcohol or the lack of it is still on your mind often. This slowly fades away but it will never go away completely. A couple of days ago I stayed in a hotel I have not been to for over a decade. The last time I was there I remember checking in and getting the room key. But instead of going straight to the room I went out of the hotel to a convenience store. I bought a bag of chips and a huge bottle of Ouzo, which I planned to drink in the room. I know you want to stop thinking about drinking alcohol! This time I did head straight to the room after check-in. However, as soon as my foot crossed the threshold into the hotel suite, I had a powerful sensation come over me. 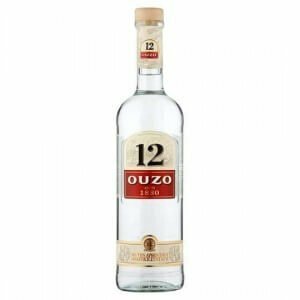 I suddenly thought ‘should I go an buy some Ouzo’? Of course, as soon as I had the thought, I dismissed it as a terrible idea. However, you should be aware that even when you have been sober as long as me – these crazy thoughts still appear. Some people get a little despondent about these sorts of thoughts. They worry that these mind farts are a sign that they have not really beaten the drug. As with everything else in life you can’t change the things you are not in control of. You can only change the way you respond to them. For example, getting upset at the law of gravity won’t make any difference to how it affects your body. Instead of getting upset or angry when these thoughts occur, see them as a positive. They are little reminders that alcohol wants to pull you back into the trap. Alcohol is like a little demon, you have not beaten him, you have locked him in a little box. He can’t hurt you as long as you keep the box locked. Occasionally he will shout out and beg you to put the key in the lock and give him a little air. Just like feeding a Gremlin after midnight, answering his plea is going to end in nothing but pain and misery for you. Don’t punish yourself for having these thoughts and don’t feel bad because you can’t stop thinking about drinking. If you try and push them away or demand that they don’t ever appear you actually make them stronger and more regular. Instead, when they appear, just acknowledge them, watch them unfold before you and then let them go. You can stop thinking about drinking with my help, of this I am certain. I have already helped over 50,000 people to quit drinking – ready to be the next?